Leading Manufacturer of hmc9000 diesel engine controller and hrm3300 remote control module from New Delhi. HMC9000 Diesel Engine Controller integrates digitization, intelligent and network technology which are used for genset automation and monitor control system of single unit to achieve automatic start/stop, data measure, alarm protection and “three remote”. 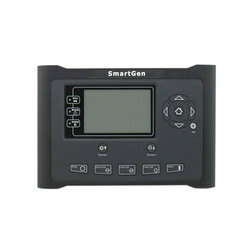 It fit with TFT-LCD display, optional Chinese/English languages interface, and it is reliable and easy to use. SAE J1939 interface of HMC9000 diesel engine controller allows its communication with up to dozens of ECU engines. Multiple parameters such as engine speed, water temperature, oil temperature, oil pressure can be transmitted via this communication interface and displayed on LCD, so there is no need to install additional sensors and complicated wiring is avoided. This port also enables all kinds of module expansion; it combines fast data transmission, simple connections and high reliability. HRM3300 Remote Control Module is a remote control module for HMC9000 controller. With the help of CANBUS it can carry out remote start/stop of the marine genset, data measurement, alarm display and other functions. HRM3300 is designed for single generator remote control systems. 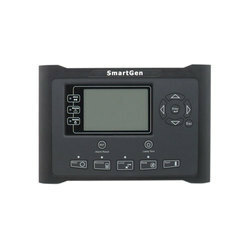 The module has monitor mode, in which it only monitors, but does not control the genset. Up to 16 HRM3300 modules can be connected to one HMC9000 controller. The module contains 32-bit ARM microprocessor; it is fitted with a large 480*272 resolution TFT-LCD monitor, selectable English/Chinese interface. The home page of the monitor is instrument display. The brightness of the LCD monitor and LED light indicators can be adjusted, which enables operation in different conditions. The module is designed for panel mounting, it has simple structure, simple connections and can be widely used in various situations. Operating Voltage DC18.0V to 35.0V, continuous power supply.